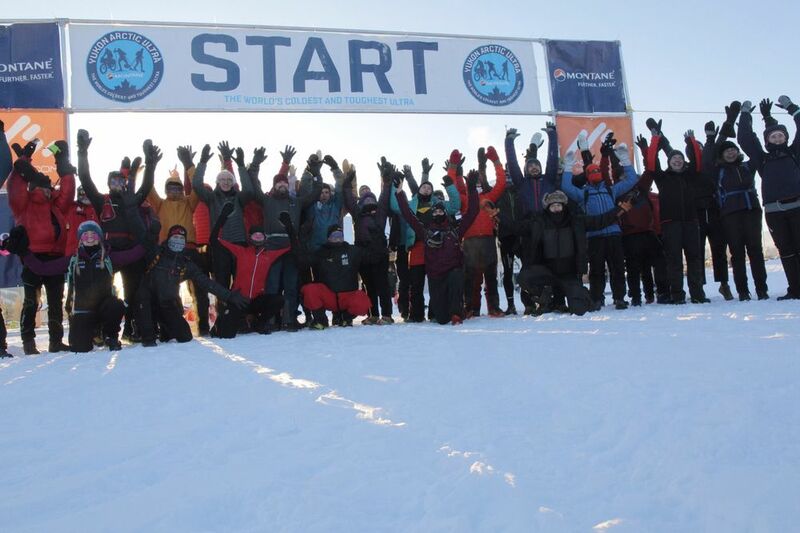 At 10:35 AM 48 athletes from 17 different countries hit the Yukon Quest trail in Whitehorse. Temperatures were around – 30 degrees. Local runner Kristin Daniel won the marathon distance, arriving at 14:38. An excellent time considering these temperatures and a trail that was not always rock solid. In the overall ranking Benjamin Harper came second (at 15:45) and Katie Moon third (at 16:18). Both also are from Whitehorse. With the exception of Ed McLean all marathoners were able to finish. Together with the ultra distance athletes they all enjoyed the great hospitality here at Muktuk Adventures. Thank you Manuela and the entire Muktuk team! Thank you also to Elisabeth from Black Bear Wilderness Adventures for bringing the international marathon participants safely back to Whitehorse! Considering the cold temperatures we have had, all athletes looked in pretty good shape. James Binks and Barry Potts did not continue on. They are both fine, though. Barry is back in Whitehorse and James will continue on with the crew tomorrow and support his fellow athletes. All 100 and 300 mile athletes remaining in the race have now left Muktuk Adventures. It is a clear and very cold night. Especially down on the Takhini River it is chilly. Temperatures will reach – 40 degrees C and exhaustion will kick in. It’s a long stretch to Dog Grave Lake and hopefully they will all get through the night without any major problems. Currently leading the 300 miles is Jovica from Serbia. Behind him is Nikolaj Pedersen from Denmark. In the 100 mile race Emanuele Gallo from Italy is going strong, with the remaining field not far behind. Some SPOTs are not working very well. The reasons vary. That is why we write down in/out times and do our trail checks. The athletes also know that there are no trail checks or evacs at night. If they can’t continue they rest and try to stay warm. All know how to build a wood fire and have the necessary gear.